When Rick Snyder became Governor of Michigan, he signed into law that he can overturn local election results and substitute elected mayors, city councilors and elected school boards with whomever he wants, and those appointees would answer only to the Governor (i.e. Snyder). Knowing that, Moore says Snyder’s fix was to add a chemical to the water that should clean it, but would cause the lead from the old, decaying pipes to leach into the water. Informed that a corrosive protector was required to prevent that from happening, at a cost of $100/day for three months, Snyder rejected the expense. When brown water began coming out of people’s faucets, Snyder denied that there were any problems, denied the accuracy of the findings of elevated levels of lead in the water and elevated levels of lead in children’s blood, and told the people of Flint to relax. A full 17 months went by before the Snyder administration admitted that there might be a problem with Flint’s water. Lead is toxic to humans and cannot be fully eliminated. It causes brain damage, especially to children. “I am calling upon my fellow Michiganders and seekers of justice everywhere,” Moore said in an open letter to Governor Snyder, " to petition U.S. Attorney General Loretta Lynch, asking her to arrest you for corruption and assault (i.e., the physical assault you committed against the children of Flint when you knowingly poisoned them). “And who will be cheering on that day when you are fitted with a bright orange jumpsuit? The poor and minority communities of Michigan who’ve endured your dictatorial firing of their mayors and school boards so you could place your business friends in charge of their mostly-black cities. They know you never would have done this to a wealthy white suburb. Still outraged by what has happened in Flint, Moore wrote another open letter, this time to President Obama, asking him to come to Flint to acknowledge the tragedy. 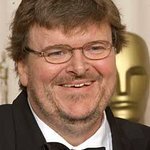 You can sign Michael Moore’s petition calling for the immediate resignation of Governor Snyder and for the FBI to arrest him here.